Designed for support and comfort following trauma or post-operative procedure. The lightweight design and pre-shaped ergonomic frame help to modify the level of pressure on the injury at both the malleoli and lower leg. If you experience any pain, swelling, sensation changes, or any unusual reactions while using this product, consult your medical professional immediately. Like all lower extremity immobilizers, such as casts or braces, patients without sensation (ie: post-op anesthesia, neuropathies, etc.) should be monitored frequently for "hot spots", skin irritation or wound management. Use caution when walking on slippery or wet surfaces to avoid injury. Always consult with your physician or therapist before making changes to the brace. Always inspect before use. Check for broken stitches or parts; torn, cut or frayed material; or buckles, or hook and loop fasteners that do not hold securely. Do not use damaged product. Discontinue use when torn, worn, frayed in any way. Never alter or repair this product. This product is not intended to be used with any other product except DJO approved accessories. Need a steel or composite insert that goes over toes the will meet ANSI Z41.1-1991. My company has a requirement for the use of safety shoes on the shop floor and other folks have used similar device. 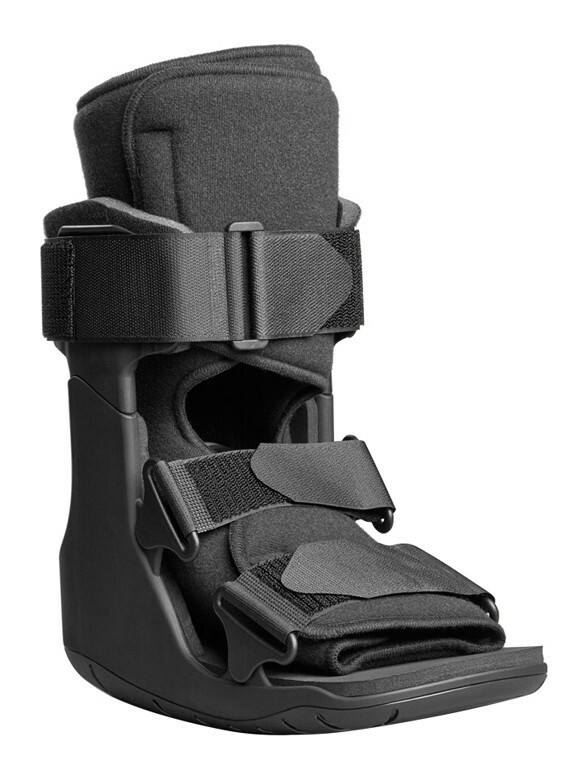 This boot does not have an accessory for that. The aircast XP or FP walker has a plastic toe cover in it but not steel. we do not have a boot with a steel cover. Would be great if it had an ankle joint fr broken toes.. Can't drive with them on.